• Can bend virtually all common sizes. • Provides mechanical advantage to easily bend heaviest tubing and up to Schedule 40 I.P.S. pipe. 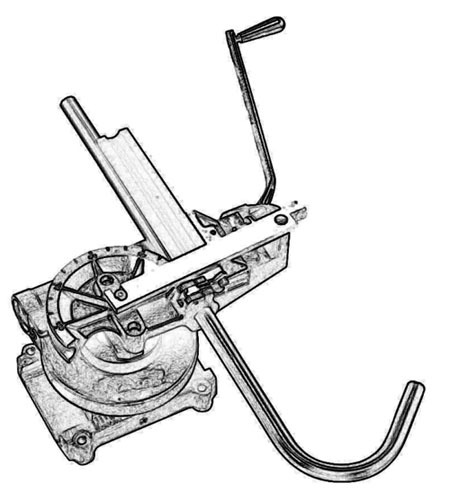 • Can be vice or bench mounted. • Makes all operators expert tube benders. • Compound bends easily accomplished. • Multiple O.D. sizes machined into a single block. • Meet virtually any bend radius specification. • Optional “Flare-End” block allows bend adjacent to flare. • Custom tooling available for metric tubing, rigid conduit and I.P.S. pipe. • Radius block clamp pivots to quickly grip or releasetubing for higher production. • Reduces tooling costs. • Enables quick return to starting position without engaging gear drive. • Easily converted to bend thin wall tube with use of optional mandrels.